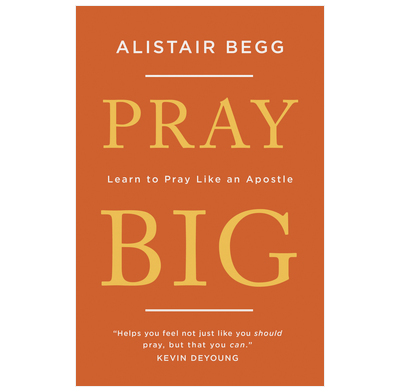 This short book by renowned Bible teacher Alistair Begg combines warmth, clarity, humour, and practicality as he examines Paul’s prayers for his friends in the church in Ephesus. Paul clearly enjoyed prayer, and was excited about it. He expected his Father in heaven to hear what he said, and to act in other people’s lives accordingly. The truths that underpin and shape his prayers will motivate us to pray and set us an example. So be inspired by the Apostle Paul to pray bigger and better prayers as we look to our heavenly Father to do more than all we ask or imagine! 8. Can This All Really Happen? 9. Who Will You Pray For? I love this book. It comes from the heart of a seasoned pastor to the hearts of men and women who desperately need help in our prayers. I was challenged and convicted, and yet also moved to devotion to God and to a fresh conviction of the wonder of the gospel of the Lord Jesus. There is a rich combination of scriptural clarity and pastoral warmth. And I love the way the book is laced with hymns, songs and poems, too! We will be forever grateful to Alistair for how he helped us understand and apply Christian basics to every facet of life and worship, and there is nothing more basic and transformational than prayer. There is no greater challenge for the Western church than to be a praying people; so we are thrilled and grateful for this vital book. This wonderful book will help us to refocus our prayers to pray as God tells us he wants us to pray in the Bible. I found it both liberating and enabling. I am motivated to pray more, and to pray for the right things.